The DEAN blazer, Curtis sweatpants & suspenders are rigged mesh clothes. 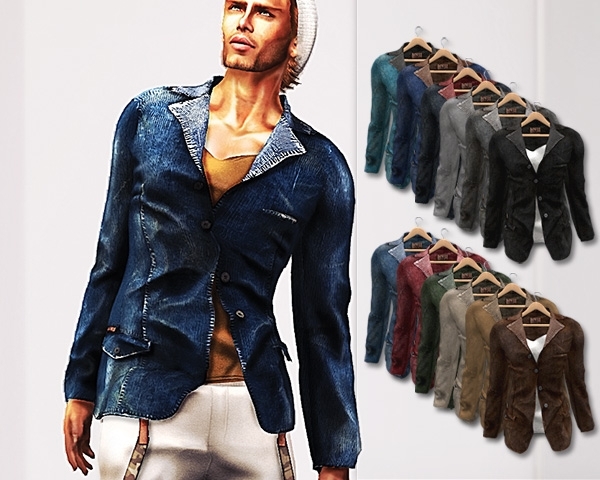 The blazer is available in 12 colors and also in 4 full pack (3 colors per pack). 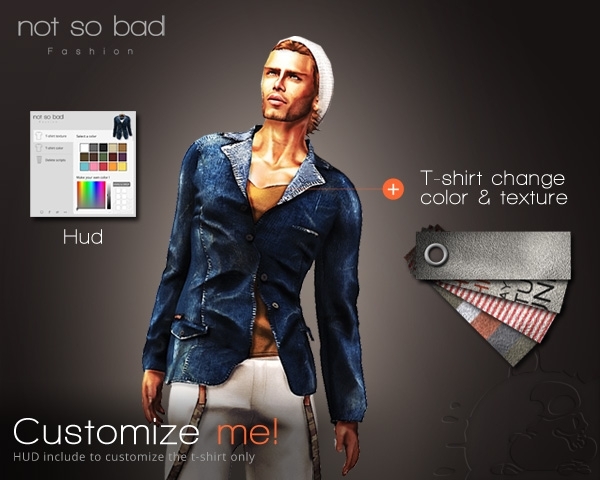 It include a hud for t-shirt change colors & textures. 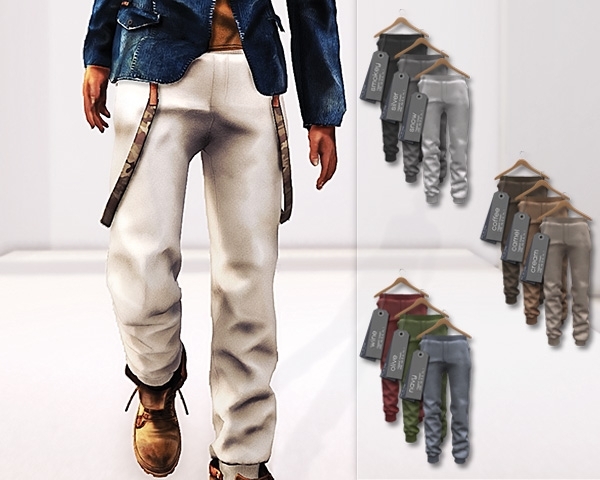 The sweatpants is available in 9 colors and also in 3 full pack (3 colors per pack). The suspenders include 4 colors. 4 sizes are included for each item.